Being home to the traditional London base for the Royal Navy, the famous Greenwich Mean Time (GMT) and more historic architecture and royal parkland that you can shake a stick at, Greenwich has loads of fantastic things to see and do. Just for a day at least, ditch the sights and excitement of Central London and spend some time exploring the Royal Borough of Greenwich, (we promise you won’t be disappointed). 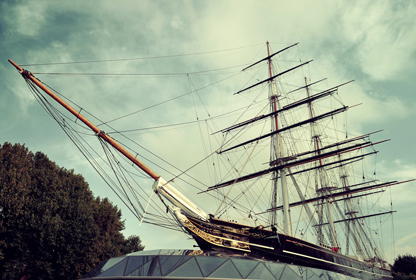 From our new English school in London Greenwich you will be able to reach famous sights including the National Maritime Museum, the O2 Arena and the stunning Greenwich Park in no time at all by bus or on foot. Check out our list of the top 10 things to do in Greenwich and start discovering this beautiful area! Full to the gunwales with ancient nautical objects, swashbuckling tales of sea voyages and interesting galleries, the National Maritime Museum is a must-see during your visit to Greenwich. The museum is home to more nautical themed objects and stories that you can shake a stick at, including 500 years of British naval history, Nelson’s uniform from the Battle of Trafalgar and a huge interactive world map. Art lovers will be in their element here as the museum contains amazing seascapes by William Turner, as well as portraits of famous seamen by Joshua Reynolds and Thomas Gainsborough. 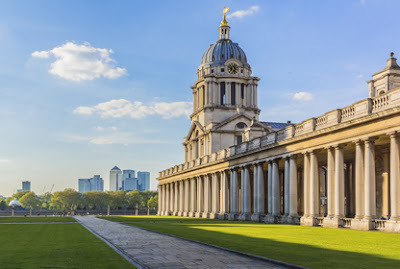 If you really want to “push the boat out” (excuse the sea-themed pun) during your trip to the museum, then you can also squeeze in a visit to the magnificent Queen’s House and Old Royal Naval College (more about these below), which are located just seconds away. The O2 Arena is one of the world’s most popular entertainment venues – you simply cannot miss it off your list of things to do in Greenwich. Originally called the Millennium Dome in celebration of the year 2000, the O2 Arena has since developed into an incredibly popular entertainment and concert venue. This giant dome structure is home to the world’s busiest concert hall (the O2 Arena), a music club (indigO2), 11 cinema screens, a bowling alley/concert hall (Brooklyn Bowl), exhibition space (the O2 bubble) and cafes and restaurants. 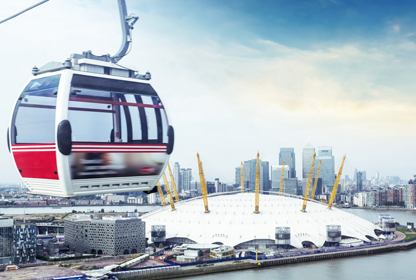 If that’s not all enough, then you can also head to the Up at The O2 attraction, where you can embark on a thrilling climb across the top of the dome to see the best views of London Greenwich, Canary Wharf and the Thames. 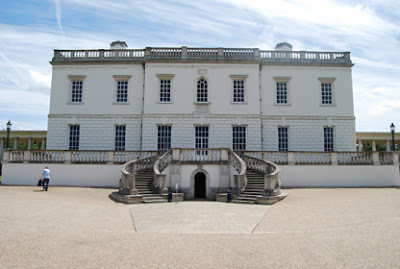 For architecture and culture at its finest, head to the grand Queen’s House in Greenwich. Located next to the Maritime Museum and Old Royal Naval College, the Queen’s House is a 17th century Palladian mansion famous for being the home of Charles I’s queen, Henrietta Maria, and its outstanding fine art collection. With Greenwich Park as its garden, stunning classical architecture and a rich cultural history, the Queen’s House makes a great day out. 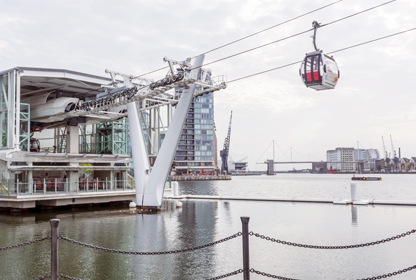 Take to the skies and enjoy the amazing views of the Thames, Greenwich and beyond from the Emirates Air Line. 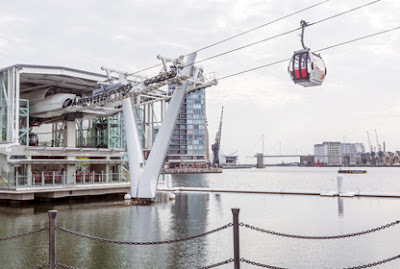 London’s only cable car ride, spanning over one kilometre, allows you to see the city from a new perspective and is also a great way to travel between the Greenwich Peninsula and the Royal Docks. As you fly you’ll see world-famous sights and attractions including the O2 Arena, Canary Wharf and the Thames River, and now you can choose whether to go on during day or night time. For aviation enthusiasts, there is also an “Aviation Experience” attached to the station which allows you to learn about planes and go on flight simulations. Jump on board one of the finest and fastest British ships from the 19th century, and discover what it would have been like to sail around the world! This glorious ship was originally built in 1869 as a tea clipper that sailed between Britain and China, and today is now part of a fantastic museum that allows you to walk under the ship for a fish’s view of its vast hull. At this modern-meets-old museum you can find mementos and tales from intrepid sea explorers, a variety of old ships’ figureheads and plenty of prints and drawings. 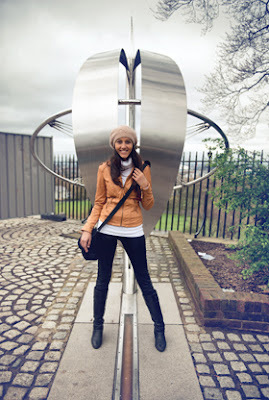 Travel the universe in London’s only planetarium and stand on the world-famous Greenwich Meridian Line, with a foot in both the eastern and western hemispheres of the earth, at the Greenwich Royal Observatory. The Peter Harrison Planetarium has a variety of incredibly interesting shows to watch including “The Sky Tonight” and “Meet The Neighbours”, which take you on a journey to explore the sparkly delights of the night sky. The observatory is also home to Britain’s largest telescope, an astronomy museum and the Meridian courtyard, so there are plenty of things to see and do here. The Royal Observatory itself is well worth a visit, but it also has some fantastic views to offer of the London skyline, from its high position in Greenwich Park. From the viewing platform you’ll be able to see all of Greenwich Park (including the Queen’s House and Old Royal Naval College), the O2 Arena and the magnificent skyscrapers in Canary Wharf. This 183-acre green park is the oldest of London’s eight Royal Parks, dating all the way back to Roman times in 1427. 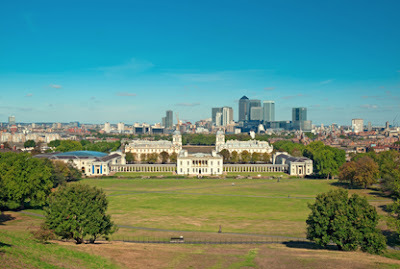 This famous park is home to four of Greenwich’s most popular attractions (Maritime Museum, Queen’s House, Royal Observatory and Old Royal Naval College), is a part of the Greenwich Maritime World Heritage Site and hosted the equestrian events for the 2012 Olympics. The best time to visit this park is in the summer months, particularly at dusk, when you can watch the sunset fall among the famous Canary Wharf skyline. 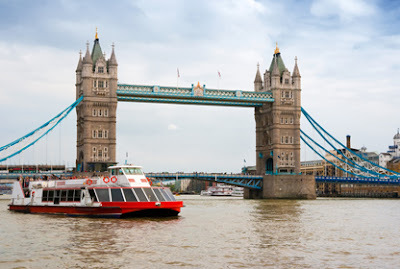 Explore London in the best way – by boat down the River Thames! Hop on a boat from Greenwich Pier and sail past all of London’s best river-side attractions, including Greenwich Park, Canary Wharf, London Bridge, Buckingham Palace and the London Eye. You can enjoy the views from the open air upper deck, the comfy indoor saloon, or you can even sail at night time with a glass of bubbly in your hand. Located next to Greenwich Park, the Queen’s House and the Maritime Museum, the Old Royal Naval College is definitely worth a visit during your trip to Greenwich. The College is famous for its magnificent painted hall, regarded as the greatest decorative painting in England, and the Chapel of St Peter and St Paul, which is one of the finest eighteenth century interiors in the world. At the College you will be able to discover gorgeous architecture, intricate artwork and rich history. If you’re looking for a memoir or something special to remind you of your time in London, then look no further than the Greenwich Market. This market dates back to the 1830s, and even though it only used to sell produce, you can now find a variety of arts, crafts, antiques, collectables and food stalls here. 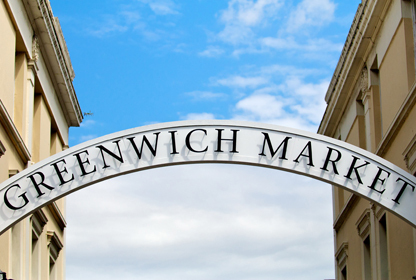 Greenwich Market is renowned across London for its vibrant goods, and is also very close to lots of cafes and restaurants. 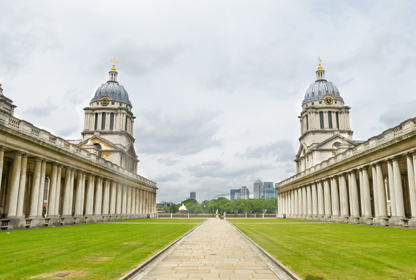 Will you be visiting our new school in Greenwich? Which of these attractions do you want to explore? Let us know in the comments below or contact us on Facebook or Twitter!